This is how I made 6 figures in less than a year. It may sound like a joke, but this is how it works. First, you need the ability to grow revenue of companies, then sell it. Today, I will talk about the first part; learning growth hacking. We, growth hackers are people who create strategies to grow companies we work with. Even though, most skills we have make us great digital marketers, we part from them because we need more to achieve scalable growth. So, we will focus on having skills that will help us to get our clients (or our own companies) grow. We will also need to read lots of case studies to find inspiration for our projects. to educate yourself to be a great Growth Marketer. Digital marketing is a vast discipline. There are lots of skills you will need to learn. Some people work in companies in few of those skills. Digital marketing agencies mostly specialize on one or two topics on digital marketing. However, in order to be a full marketer, we need to have at least basic understanding of each discipline of digital marketing. If one is to understand the great mystery, one must study all its aspects, not just the dogmatic, narrow view of the Jedi. If you are to become a complete and wise leader you must embrace a larger view of the Force. We need a web analytics tool to track conversions, and the other business data. Google Analytics is the most common one. It is easy to setup and use. It is also free. Except few enterprise, I found most people are GA users. Google Adwords is the only way to target people searching Google and partners. So, you’ll need to know how to setup campaigns, ad sets, and ads. You will also need to connect Google Analytics and Google Adwords to get the most out of the data. However, there are lots of material to choose from. 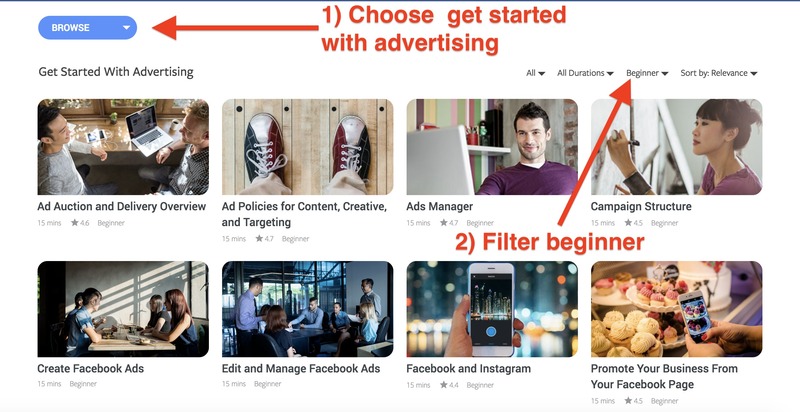 So, go to Browse, and choose ‘Get Started with Advertising’ and filter ‘Beginner’. Watch all training videos. As a Growth Hacker, you need to master at least on-site optimization. Most of the time, business owners miss great opportunities when it comes to on-site strategies. Make sure you have a good understanding on on-page SEO strategies. Give $1 and get $44. This is the ROI of e-mail marketing according to research. Facebook, Instagram, Google… One day all may disappear but we will still be sending e-mails. This is how important e-mail is for marketers. Sad thing is e-mail marketing is undervalued by most of the businesses. People like to follow shiny objects and overlook e-mail. You shouldn’t. Maybe the most important skill you need to have as a Growth Hacker. You need to optimize websites, landing pages, apps, blogs, and every other digital assets of the business you work with. We are lucky, there are awesome guides to make you an expert quick. Efficiency is the key. We want to do all of our task spending minimum money and time. So does the companies. Competition is fierce and any success cutting work-load will make your company part from the others. There is endless opportunities in marketing automation. You can automate landing pages, e-mails, ppc campaigns, SEO work, analytics, and social marketing. Marketing automation is a vast topic and it is difficult to summarize it in one guide. So you need to learn discipline-specific automation techniques. For example, lead-gen automation is different from predictive analytics automation. I suggest to learn automating the most time consuming tasks of your client. If your clients send a lot of e-mails and make it manual, maybe it is time to suggest her a tool to automate it. You need experience. Lucky, other people created great case studies for us to study and learn from their experiences. It doesn’t mean you don’t need a real experience, yet case studies catalyzes this process. AirBNB spammed Craigslist in a very smart way. They call it integration, though. This guy wrote this in 2011. If you are a big spammer, people will love you. Look at Google, they scrape all web, and use them in their website. Facebook steals videos from Youtube, and put ads in them. No one cares. Anyway, AirBNB case study is a must to read for a Growth Hacker. Learn how Slack Grew like Crazy! Read it hereLots of lesson here. Concentrate on fremium model. Check QuackQuack from India reaching 2 million users without an investment. Wet Shave Club on 350k dollars revenue in a year. One of my favorites. Rohan, bought a site for 4,000 dollars, fixed the site, marketed well, and made 350k revenue in a year. Read Part 1, then Part 2. How Conversion Rate Experts helped Moz to Make a 1 Million Dollars. There is a great conversion optimization story here. Starting from analysis, creating wireframes, and testing. A must read for a Growth Hacker. Great post by ConversionXL on best practices doesn’t always work. They helped a truck company to increase their conversions by 79.3%. Here is how they did it. How Obama used conversion optimization to win. Obama’s people tested their campaigns using Google’s A/B testing tool. On Quora’s Growth Strategy to 80 Million Users/MonthRead this, and this. Here is the list of great people sharing their knowledge via their blogs. The list is limited to blogs I follow and read actively. I hope to add more. I use Feedly on my iPad for new posts, and Pocket to read it offline (mostly during flights). I recommend them both. ConversionXL – Peep Laja started this awesome conversion optimization blog. They write in-depth articles on mostly conversion optimization, landing pages, and usability. Avinash Kaushik – Advanced stuff on web analytics and digital marketing. Growth Hackers – Biggest Growth Hacker community. You can find discussions, articles, Q/A’s, and AMA’s on growth marketing. Online Behavior – Check if you wanna be a data geek. Wider Funnel – Wider Funnel is an awesome CRO company providing lots of great case studies. Unbounce – You need a lot to learn about landing pages. This is the place for it. Conversion Rate Experts – Articles on how CRE helped companies to growth their revenue using CRE Methodology. Jon Loomer – Best Facebook marketing blog. Don’t forget to check his free webinars. Digital Marketer – I love their aggressive approach when it comes to customer acquisition. Vero – Undervalued e-mail marketing blog. Backlinko – My favorite SEO blog by Brian Dean. Viperchill – Glen writes 5000 words articles that you want to read more than once. He writes mostly on SEO. IndieHackers – Interviews with successful startups. Check founder interviews. These books are not directly related to Growth Hacking, but what I learned from these books shaped my mentality, and thought me new approaches. Dotcom Secrets – Awesome strategies to sell more to your clients creating better funnels. Launch – Teaches how to launch your product or services. From Zero to One – Peter Thiel is co-founder of Paypal, Palantir, and Founders Fund. He teaches how to grow startups. Shoe Dog – Phil Knight, creator of Nike, tells his life story. A lot to learn from his memories. The Hard Thing About Hard Things – Building a Business When There Are No Easy Answers. Title says it all. The Lean Startup – A must read for Growth Hackers. Eric Riess writes about how startups can be succesful via innovation. 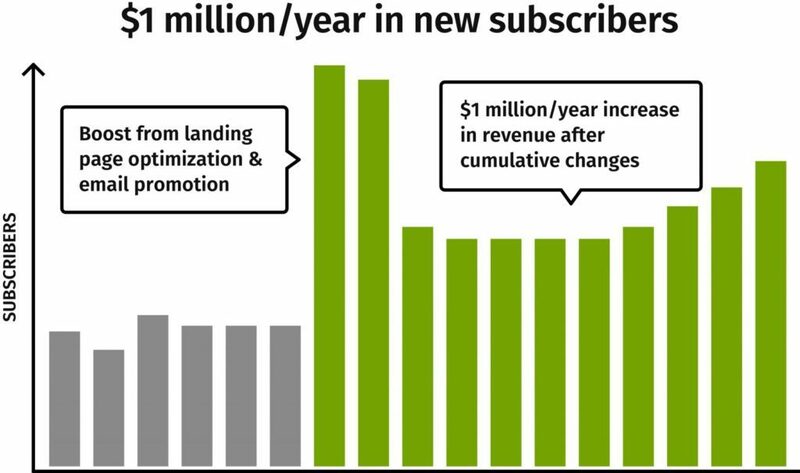 Predictable Revenue – This guy grew SalesForce to 100 million dollars revenue. He wrote how he did it. I use his tactics to get my clients. Fanatical Prospecting – How working hard helps you get new clients. Jeb insists telephone is the best way to prospect. In most cases, he is right! Invisible Selling Machine – How e-mail marketing automation can help your business. Learn from Ryan Deiss from Digital Marketer blog. Hacking Growth – Father of growth hacking Sean Ellis’ book. A must read. There are no best practices in Growth Hacking. Each situation is different. One tactic working for someone does not necessarily work for you, even though how obvious it may seem. Growth marketing is a multi-disciplinary field. You need to be open to learn no matter how new information seem irrelevant. For example, for one client, we scraped e-mails from web, and send them unsolicited e-mails and made 6 figures in only 3 months. I wouldn’t do this for any other type of businesses. But in that case it worked. Try not to spend money. If you (or your clients) are just starting, do things that do not scale. Do not believe all the growth studies you see on the web. Learn what you can learn from them, but never fully trust. They usually hide their best strategies to protect themselves from competition. Try not to follow generic information blogs. You don’t need to read ‘5 ways to use Facebook better’ article. Get deeper. Balance your reading and execution. If you spend all of your time reading or learning, you won’t find new clients, make money, and be beneficial. Spend time to promote your services. Try to make money for your clients. This is the key. If they make more money with your help, they’ll keep working with you. They don’t care about their quality score on Adwords, they want to make more money. Do not lose time with negative people. Do not work with them. Do not talk with them. Stay relaxed. You don’t always have to listen to Facebook, Google or LinkedIn. Their TOS are not laws. That does not mean you don’t want to be careful using their services to avoid getting banned, but you don’t have to stop buying links, or web scraping just because Google told you so. It took me 2 days to write this. If you liked it, please share with your friends. If you like more articles like this, and interested in becoming a growth marketer or grow your company, subscribe to my email list.